Unfortunately, many of the realities of modern life make it difficult to consistently get a good night’s sleep. Both the huge variety of responsibilities that may impinge upon our ability to find time for sleep, and the plethora of easily available distractions mean that people are sleeping less and less. However, there are massive problems looming as a result of chronic sleep deprivation. One of the strongest predictors of employee productivity is their tiredness during and before their shift. Finding ways to encourage and enable healthy living will meant that your employees will be able to do less in more time. Chronic sleep deprivation can be responsible for many chronic health problems. Some of these will affect us in our day to day functioning. Sleep deprivation has been linked to cognitive and memory related problems, such as the inability to focus on tasks, remember information, or even temporary loss of control of the body. We also will be at greater risks for mood disorders and depression. These will obviously affect our ability to work productively and consistently, and can also create chain reactions that will seriously affect our lives. Sleep deprivation has also been linked to other health problems which may not have immediately negative effects, but will almost certainly catch up with us over time. Things such as heart disease, high blood pressure, diabetes, and a higher risk of accident can all mean that we are much more likely to need expensive medical care later in life. These health problems will be largely involved in our productivity and our freedoms as we age. Therefore, ignoring our need for sleep is a bad strategy. Trying to cram more in now will only mean that we are borrowing from our future, and the interest will be crippling. 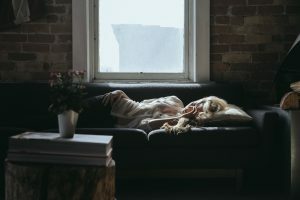 So we know that sleep is vital for productivity, how do we act in order to help ourselves and our employees get enough sleep? One of the easiest ways for us to do this is to give employees consistent schedules. For example, it is much easier to have a consistent sleep schedule if you always work mornings, or always work evenings. If you are working a random combination of them, your body will not be able to establish a pattern. When possible, allowing one’s body to get into a consistent sleep schedule will heavily improve our ability to get consistent rest.